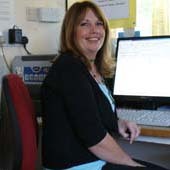 Annie James is responsible for the general management of the surgery. She is supported by a team of staff which includes receptionists and medical secretaries, all of whom work extremely hard to ensure the smooth and efficient running of the Practice. If you have any queries about administration of non medical aspects of your treatment, please call reception to arrange a discussion. Our team of fully trained Receptionists are there to help you make appointments to see the Doctors and Nurses or to advise on administrative problems. They have a difficult job to do with telephone calls and enquiries coming from every direction. When you telephone for medical attention the Receptionist may need to ask one or two questions in order to judge the urgency of your request. They have been asked to do this, but the information you give them will be treated in confidence as they are bound by the same rules of confidentiality as Doctors and Nurses. If they cannot answer a query they will undertake to find someone else who can.